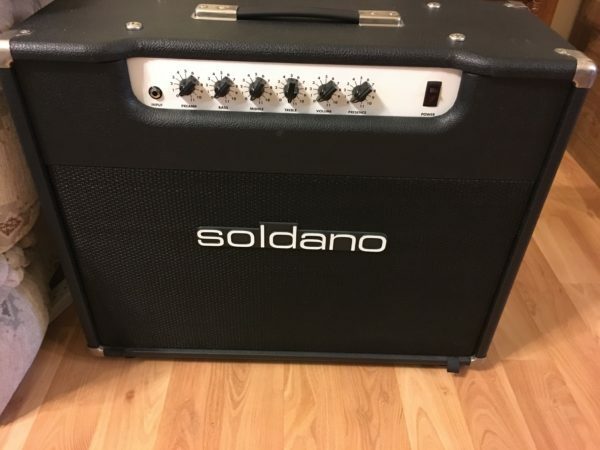 Rare Soldano Atomic 16 2×12 Combo Tube Guitar Amp in mint condition. In stock at our Montana location is a very rare Atomic 16 2×12 combo. 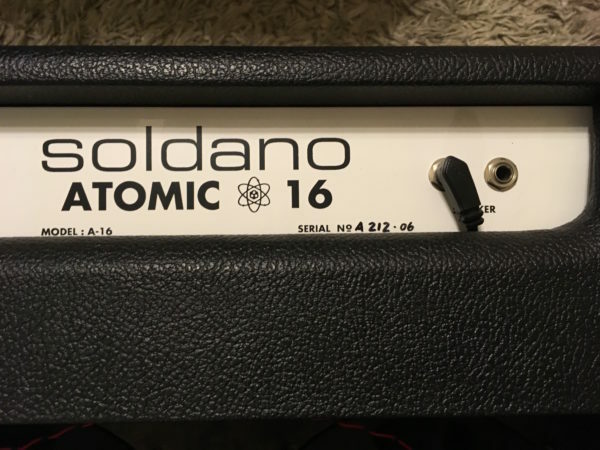 Most Atomic 16’s were either 1×12 combo’s or head models. Mike made very, very few in a 2×12 combo. This one is all stock and in mint condition. 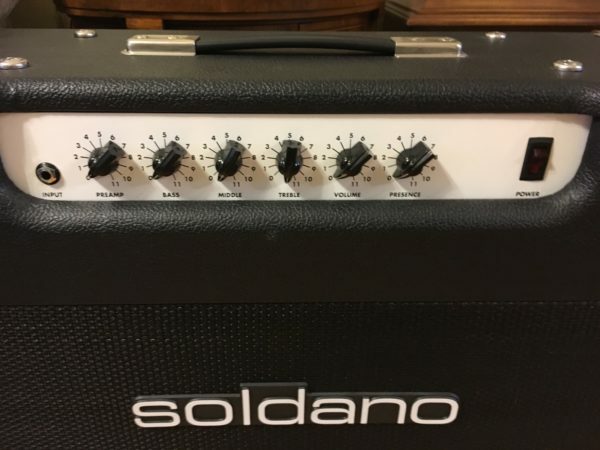 Very cool amp that gives you more tonal variations and more bottom end because of the 2×12 configuration. Getting a good sound out of this amp is pretty simple for sure. It’s only single channel and the controls are all pretty interactive, which I like. The classic rippin’ preamp gain is there, but you can also dial in some cool clean or edge of breakup crunch tones if you so desire that. 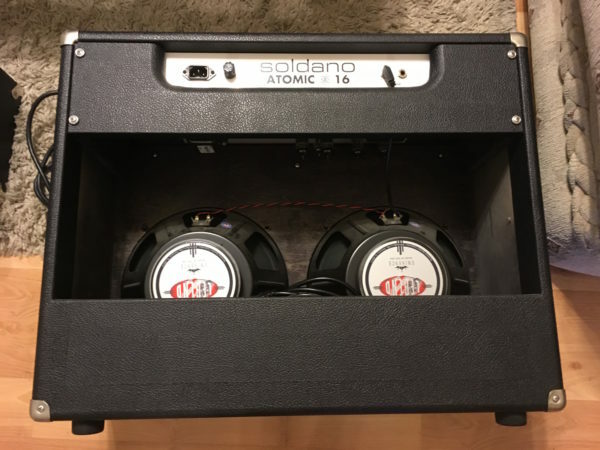 It doesn’t have a ton of low end to it (more focused in the high end to my ears) but it’s also a low wattage 1×12 combo, so it won’t have the heft of a 100w head pushing a 4×12. It sounds cool with different guitars as well but seems to excel best with something with fairly hot humbuckers. This amp could be called a bit of a one trick pony tone wise. It really was designed to get that really high gain Soldano sound in a smaller package. 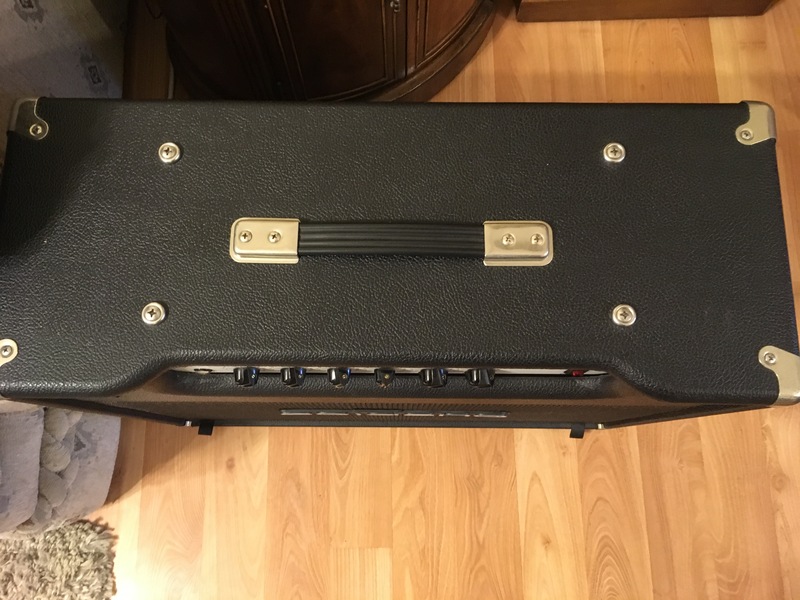 However, it’s the type of amp that still needs a bit of volume to really sound good, and 20 watts is still a pretty loud rig. At lower volumes I found it to be a bit scratchy and thin sounding, but as I turned it up it sounded pretty awesome. The clean tones when set up are quite nice. It’s not as woody as a Fender nor as chimey as a VOX, but it has its own brigher vibe going on that’s almost more hi-fi. The crunch tones are good for some Briish fury (kinda like a Marshall JMP or early 800) and with the gain really turned up high it’s that classic rip roaring Soldano tone. It’s very articulate and perfect for eighties riffage or leads to my ears.